COLLEGE READINESS – graduating high school students will have the academic skills and knowledge to be successful in entry-level, credit-bearing college classes. This means that students will not need to take remedial courses. Students who have to take remedial courses will have to pay for these courses, but will not get credit. 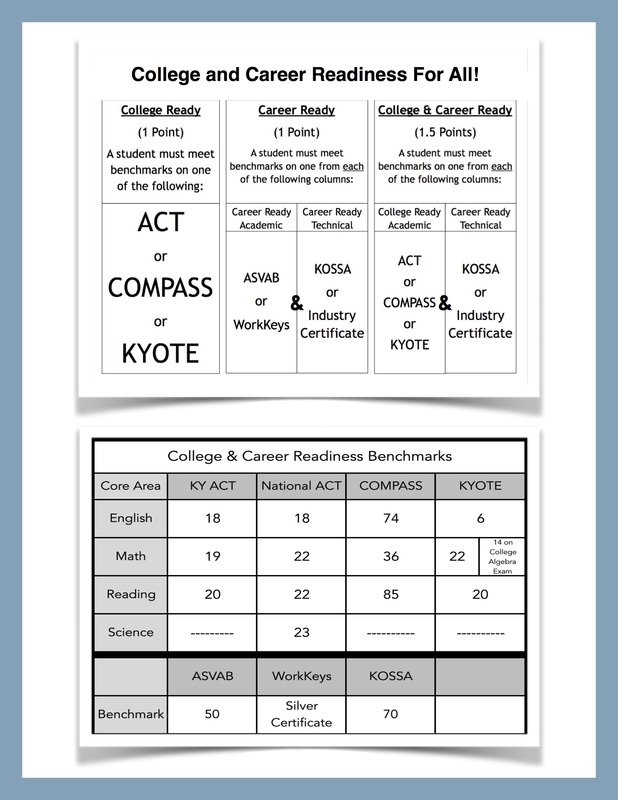 To achieve College Readiness a TCHS student must meet the English, Math, and Reading benchmarks on the ACT or KYOTE or COMPASS assessments. CAREER READINESS – test scores and certification(s) indicate that graduating high school students have the academic skills/knowledge needed to succeed in post-secondary job training. 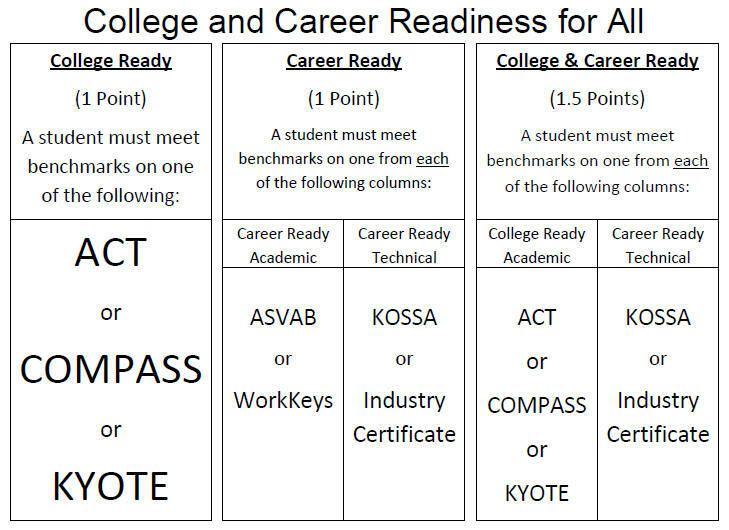 To achieve Career Readiness a TCHS student must meet benchmark on one of the Career Ready Academic Assessments (ASVAB or WorkKeys) AND one of the Career Ready Technical Assessments (KOSSA or Industry Certification). In order to become Career Ready a student must be enrolled in a Career Pathway at TCHS or at the Carroll County Area Technology Center. 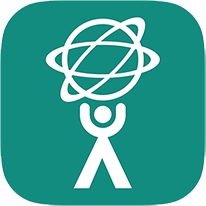 A student must pass two courses in the same Career Pathway and be enrolled in a third course to be eligible to take the Career Ready assessments. Only students eligible to become Career Ready can be both College AND Career Ready (see below). Some students will graduate high school both College AND Career Ready! These students must meet their College Ready benchmarks as described above and must pass their KOSSA or Industry Certification tests. Below is a representation of how students achieve College and Career Readiness. “Benchmark” is a term used to describe the minimum score researchers have found that indicates a student is on track to be successful in entry-level college coursework. Benchmarks can vary from state to state. The following list shows Kentucky benchmarks for all of the tests that are used to measure College and Career Readiness. More information on each exam can be found by clicking on the exam name.